Reliance Jio company chief Mukesh Ambani will take start registrations formality for Jio GigaFiber from August 15 on Independence Day. Customers will need to use the MyJio app or visit the Jio.com to register for the broadband service. 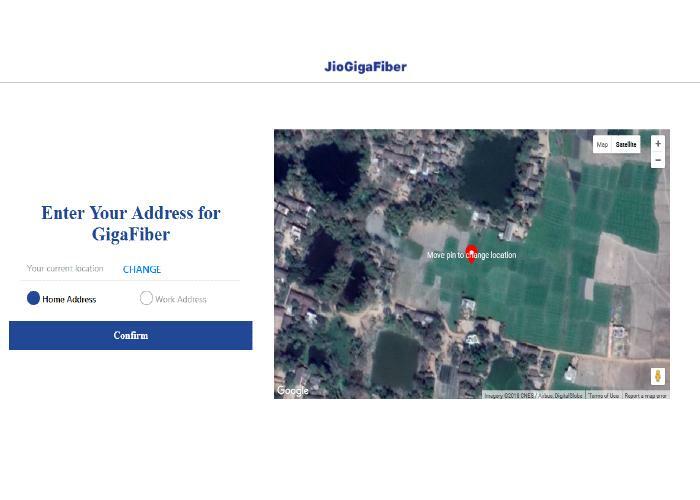 The Jio GigaFiber is a home broadband connection that is expected to launch across 1100 cities simultaneously by the end of this year. The GigaFiber would support download speed of up to 1Gbps, according to company’s claim. 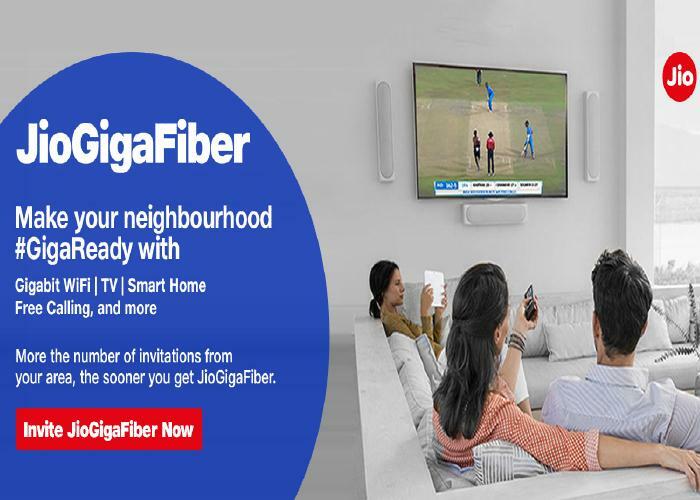 With the JioGigaFiber preview offer, user can get internet up to 100Mbps for 90 days, which is 3 months. The monthly data quota is 100GB and it comes with complimentary access to Jio’s premium apps. Since this is a preview offer, Jio is not charging any installation fees. However, customers have to pay rupees 4500 as a security deposit for the GigaHub Home Gateway device, which will provide the internet service to the customer’s home. The deposit can be paid by Debit, Credit Card, Jio Money or Paytm. To register for Jio GigaFiber, go on the official Jio website’s Jio.com to GigaFiber Registration page. On the next page, enter your name and phone number, and hit the Generate OTP button. The Jio GigaFiber registrations can be done online now. Users are done with Jio GigaFiber registrations and have expressed for interest in your area. You can also nominate other areas for the Jio broadband service, such as parents’ address, work address, etc. You do not need to pay any sum while registering. Those who will subscribe to Jio GigaFiber will get an access to a router and JioGigaTV. The Jio GigaRouter is designed to provide high-speed internet connectivity with speeds up to 1Gbps. The second device is a set-up-box, dubbed the JioGigaTV. The set-up-box will give access to over 600 plus channels, thousands of movies, and millions of songs. It is evidently a 4K-ready streaming box with a bundled remote control that lets you search for any content using voice commands. Reliance Jio GigaFiber will be more than a regular broadband service. Think Jio GigaFiber as an amalgamation of broadband, IPTV, landline, video conferencing, and virtual reality rolled into one. With Jio GigaFiber, the company wants to get into the smart home market as well. It plans to sell a number of accessories for your smart home which includes smart cameras, smart bulbs, IR blasters, smoke detectors, TV cameras, video dongles, and more. 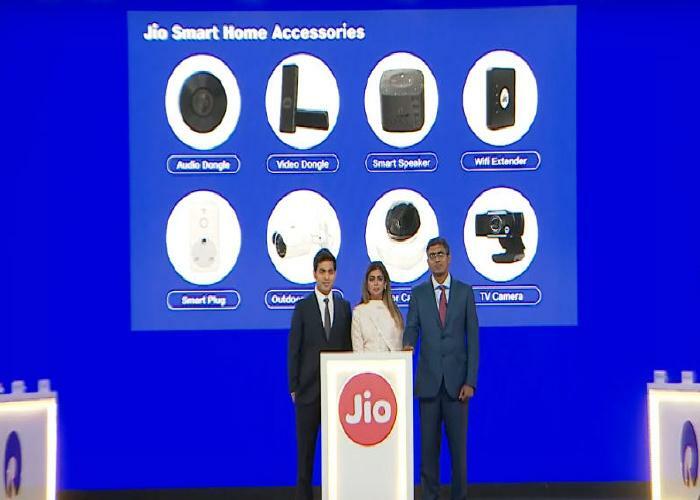 Jio claims all these connected accessories can be controlled by its MyJio app.